Confession of sin and forgiveness. Big themes during the season of Lent. Big themes in this whole Christian faith, but during Lent we pay special attention because if most of us are honest, we aren’t very good at forgiveness. Sure, we forgive the little stuff, the annoyances that trouble us for a few hours or day. But the big things, the people who have harmed us, who have betrayed us, who have wounded us deeply? We humans are spectacularly good at holding on to those grudges, nurturing them, even. Maybe we talk about forgiving, but our words often don’t match our actions. Most of us have heard the adage about forgiveness being good for us, something along the lines of not forgiving being the equivalent of drinking poison ourselves and hoping it makes someone else sick. And yes, I believe that holding onto anger and grudges does us long term harm. But what if forgiveness also has something to do with our own selves and souls? From my own struggles, I’ve come to realize the long-term grudges we hold, the hurts and betrayals we have experienced others have done to us that we cannot or will not forgive…they are often the parts of our own selves and souls we can’t forgive and, in turn, love and nurture. Projection is an eternal human spiritual practice. What we can’t or won’t see in ourselves because it’s too uncomfortable, too scary, too troubling, we project on to others. We humans often have a need to retain the good girl or boy image of ourselves, so when we are engaged in strife with another, projection allows us to focus all the blame outward. It’s part of the whole understanding Jesus invites us into about our own motivations and lack of self-awareness in Matthew 7. Projection is the practice that allows us to victim blame - well, if you hadn’t been doing whatever you were doing, the bad thing wouldn’t have happened. 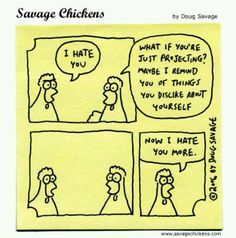 Projection is why the person who gets angry when others betray confidences is often one who also engages in hurtful gossip. Projection gives the partner who is being unfaithful the justification to blame the other partner of having an affair. We all project, and we all are invited by God to do some deep digging in our selves and souls to find the pieces we have discarded because we are ashamed of them, we’ve been told they are bad, or they simply don’t fit with the image we have of ourselves. Confession is a place we can name our projections aloud to God instead of acting as if we have no idea how these thoughts and feelings showed up in our lives. Some questions to confess our projections might include: Who in our lives unsettles us by their presence? What do they do that is so unsettling, so troubling and how do they do it? What repeated statements do we make about this person to others (he's so rude, she can't be pleased, etc.)? What actions in others causes that deep churning in the pit of our stomach? What feelings does this person bring up in us? What reasons do we have for not forgiving? Looking at the answers, the reasons, the acts, and the emotions that offer answers to these questions, imagine sitting with God and recognizing these are all pieces and parts of your soul you have tried to hide. Can we confess that these exist in us, that we have ignored them, that we have orphaned parts of us? Can we offer them to God to be healed? Can we own these actions, these thoughts, the emotions as things we do, as parts of us? I wonder if confession really isn’t a holy moment of healing when we name the orphaned emotions and thoughts of our souls and at least recognized we’ve abandoned them for reasons often forgotten. No longer are these parts of our souls orphaned, allowing them to attach to someone else. They become ours. When we learn how to love the not so easy to love parts of ourselves, forgiveness of others becomes a natural outpouring. Forgiveness becomes not so much something we accomplish, but instead a way we respond in love. As Jesus has asked us to do. Anyway, I love your writing and your blog, and thank you again and again for your irreverent-seeming, highly reverent wisdom.